Is Scabbing on a New Tattoo Normal? The short answer is yes. 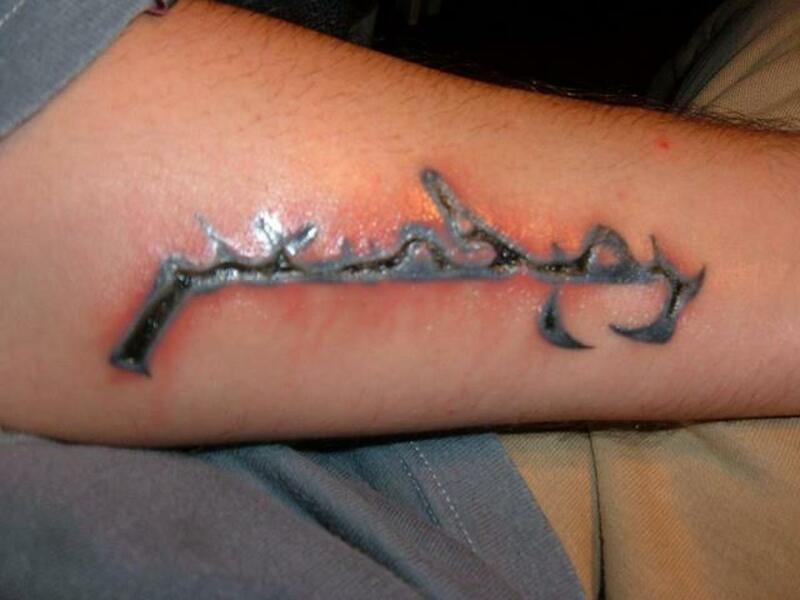 Tattoos are not necessarily supposed to scab, though it is completely normal for them to do so. If you're wondering what to do about scabs, don't do anything! The best thing you can do is simply let them off on their own, which they will do 99% of the time. Accidentally knocking a scab off—this often happens after you get out of the shower while they're a little soft. You should be especially careful of drying them too vigorously or rubbing ointment on them while they're in that state. Submerging the tattoo in water for prolonged periods of time (like swimming). Many people will experience scabbing as part of the healing, sealing, and drying process of getting a tattoo, a process which damages the skin and causes a wound. As it heals, your skin might form scabs, which are crusty, crumbly coagulations of blood or plasma. Don't pick the scabs! The scab serves the valuable purpose of protecting the wound from bacteria while white blood cells work vigorously underneath to kill any germs that get through the crusty layer. White blood cells also help heal and repair the new skin forming underneath. Eventually the scabs will crumble and fall off, exposing the freshly healed, healthy skin underneath and your amazing, newly inked tattoo. The size and thickness of your scab will determine the length of the healing process. Picking off the scabs can cause the color to fade and keeps the tattoo from healing properly. You don't want that, do you? That said, huge bulbous scabs are not good for your tattoo, and knocking or picking a scab off too early can cause your tattoo to lose its color and or possibly cause scarring. After paying hundreds of dollars for your piece of art, watching it wash down the sink can be heartbreaking! 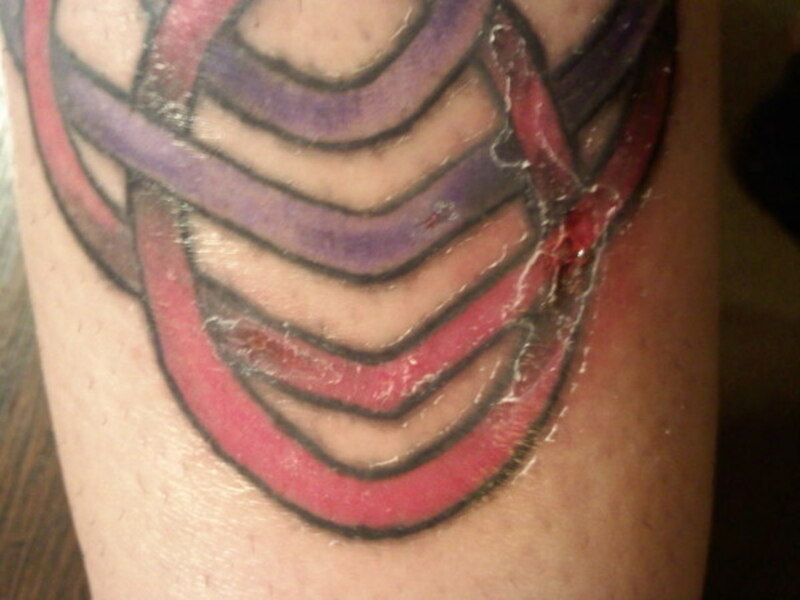 Scabs are not an indication that your tattoo is infected. Though an infected tattoo will likely have scabs, it will also weep fluid, be hot and painful to the touch, and look red. 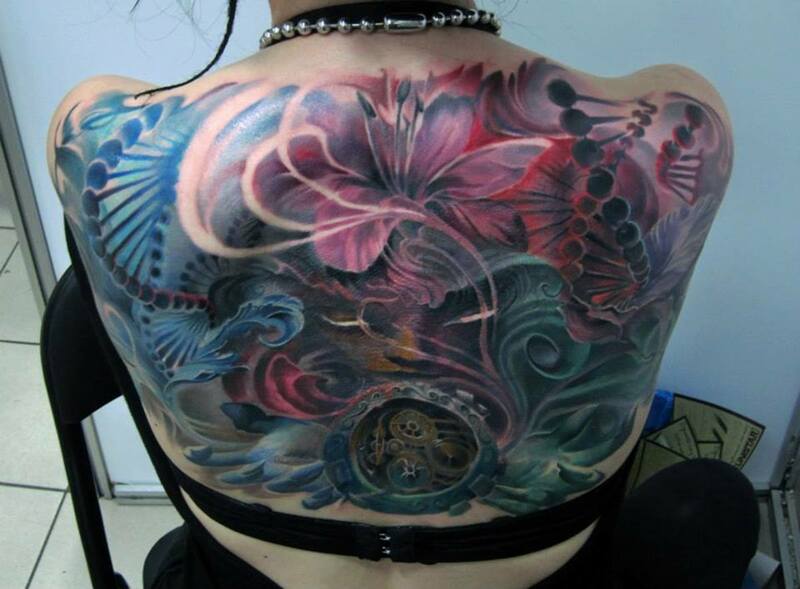 If you suspect your tattoo is infected, you should go to the doctor. In most cases you will be prescribed an antibiotic to help fight the infection. Note: The information in this article is not intended to treat infected tattoos. 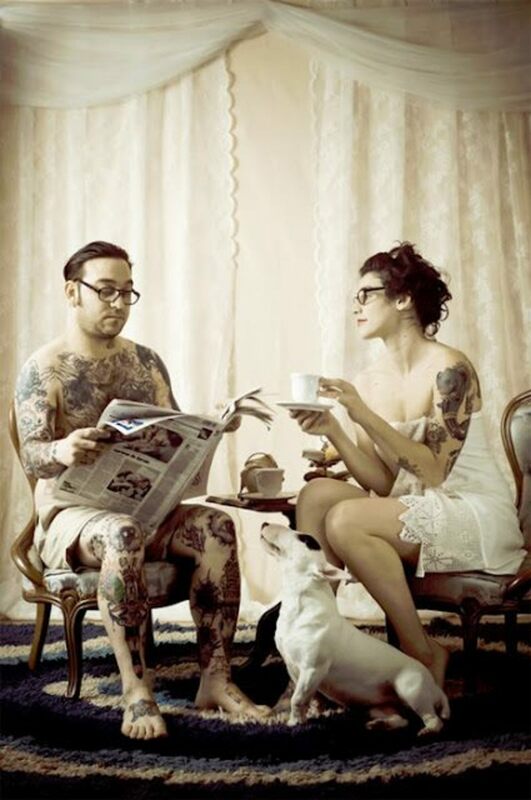 Once you're home and in a clean environment, it is critical that you thoroughly clean your tattoo. This will help prevent scabs from forming. Take the wrap off and let it air out for about thirty minutes. Then, using an antibacterial foam or natural soap, lather a decent amount in your hand and gently wash your tattoo in a circular motion. Note: DO NOT USE a washcloth, sponge, or brush. This could rip it apart. Only use your hand. It's the perfect tool for the job! Rinse thoroughly with gently flowing warm water until all the fluid is gone. Next, allow your skin to air dry somewhere clean and away from the sun (not the dusty, dirty old shed, for example) for about 45 minutes. Don't let your tattoo get too dry, however, since that could make it crack. Once it's dry, apply a small amount of aftercare cream. Don't overdo it! 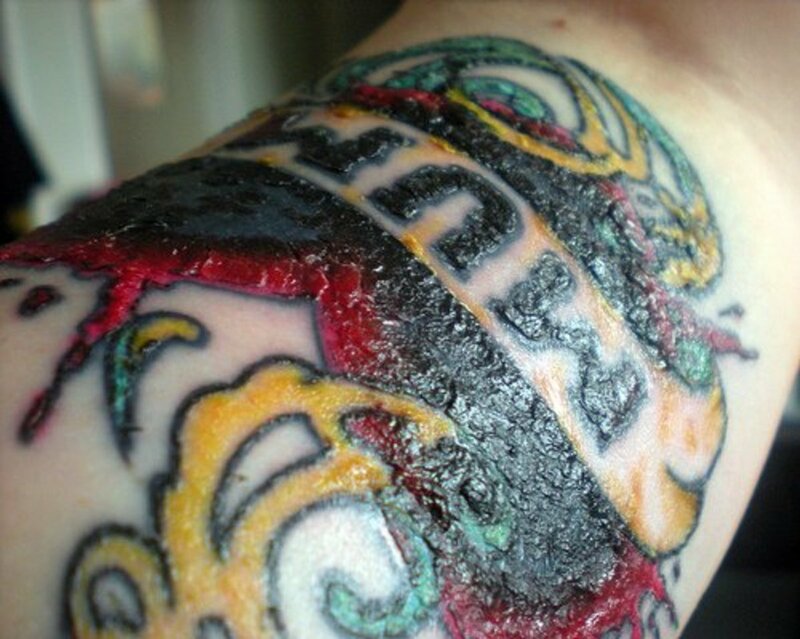 An enormous contributor to scabs staying on tattoos for too long and not falling off naturally is the application of too much aftercare cream. This keeps the skin too moist and prevents the scabs from drying out enough to fall off. You might also facilitate the growth of bacteria. The most important thing you can do to make sure your tattoo heals properly is to keep it clean. That means not letting anything dirty touch it. Dirty hands, clothing, and other surfaces harbor bacteria. 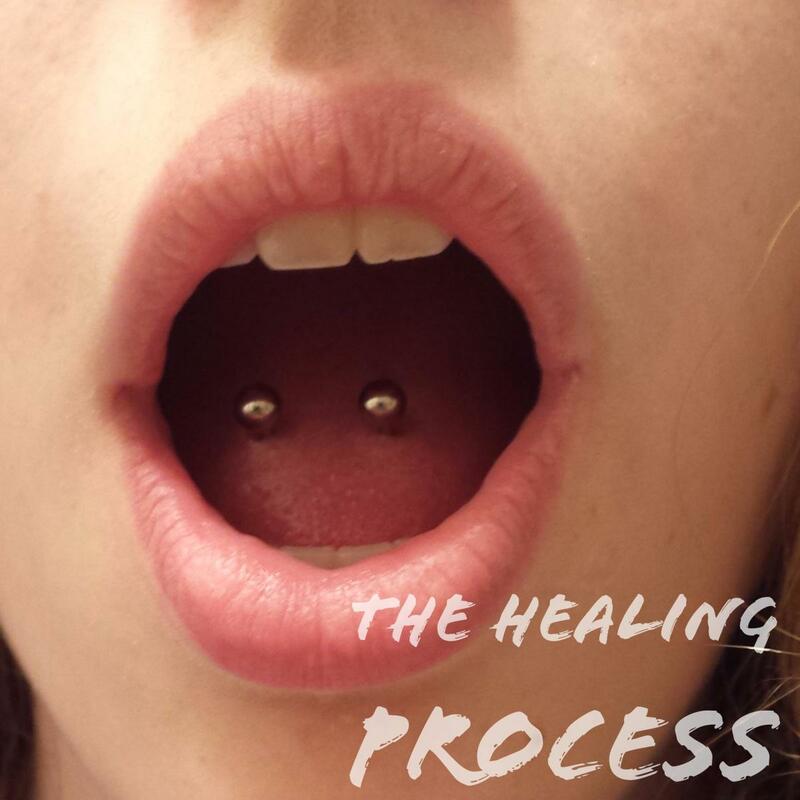 Talk to your artist about what you need to do to heal and maintain your tattoo. They know the best healing techniques for their form of tattooing. Particles, fluff, and other debris from clothing and bed linen can rub into your new tattoo for the first few days after you get it, often causing infection. 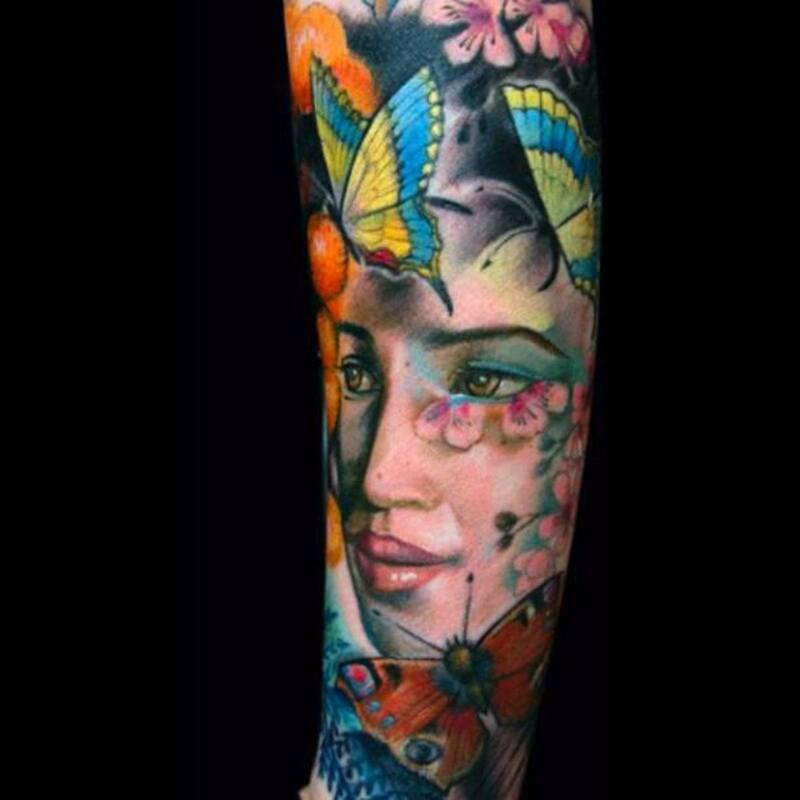 Your artist might recommend that you wrap your tattoo when wearing clothes or at night. I was advised to do this for the first three to five nights, and found that my tattoo healed very quickly. Let your skin air-dry after washing it or showering, gently massaging in your aftercare cream before it gets too dry (to the point where it might crack). If you must use a towel, gently pat the tattoo, and do not rub it. If scabs have formed, do not apply aftercare cream to them. Bacteria will begin growing in the moist scab, possibly resulting in infection. Scabs need to dry so they can eventually crumble off. Keep your tattoo out of the sun. Make sure your tattoo doesn't get stuck to your clothes or your sheets. This could mean that you need to wear different style of clothing for a little bit while you heal, and that you need to sleep in a different position. Resist picking scabs from the tattoo even if the scabs are large and dense. As the scabs heal, the ink they contain will often leach back into the skin where it belongs. Only using the palm of your hand and using a generous lather of soap, gently massage scabs for a few sections while in the shower. Keep in mind that this process is very risky and should only be done in small increments and at your own discretion. Allow the scab to absorb some water while in the shower or while washing your tattoo and it will gradually lift at the edges as it dries. You can also help thin out extremely thick scabs by laying a clean washcloth laid over the tattoo for a short period of time. The scab's edges will gradually lift as it dries. Please be careful when doing this because you can make things worse if you are too rough, leave the washcloth on too long, or if you approach the process incorrectly. 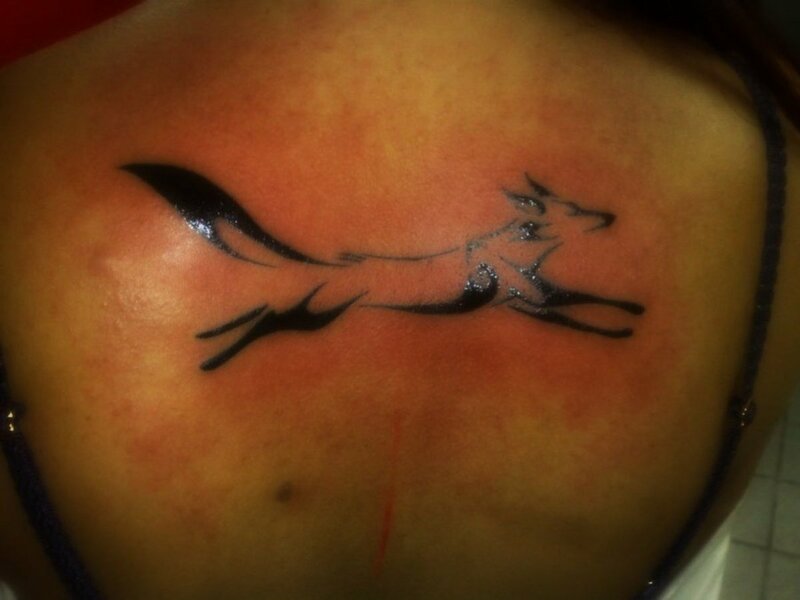 Your tattoo will be given its best chance to heal correctly by maintaining a good balance between wet and dry. If your tattoo feels hard and cracked, apply a tiny amount of aftercare cream. Wipe off any excess tattoo aftercare cream with a soft, damp, clean cloth. 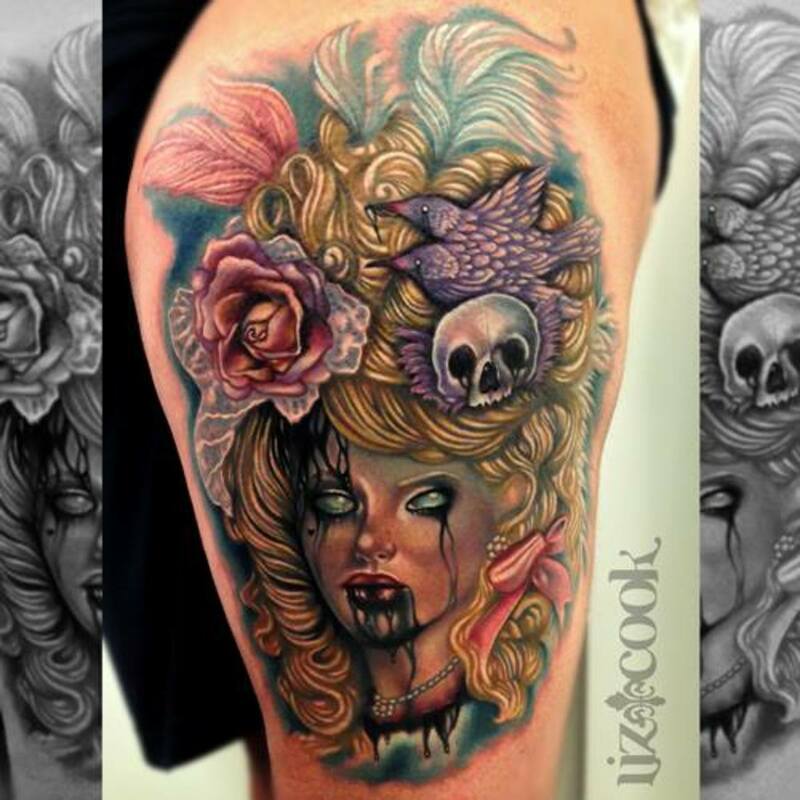 Tattoo Aftercare: How Should I Look After My New Tattoo? 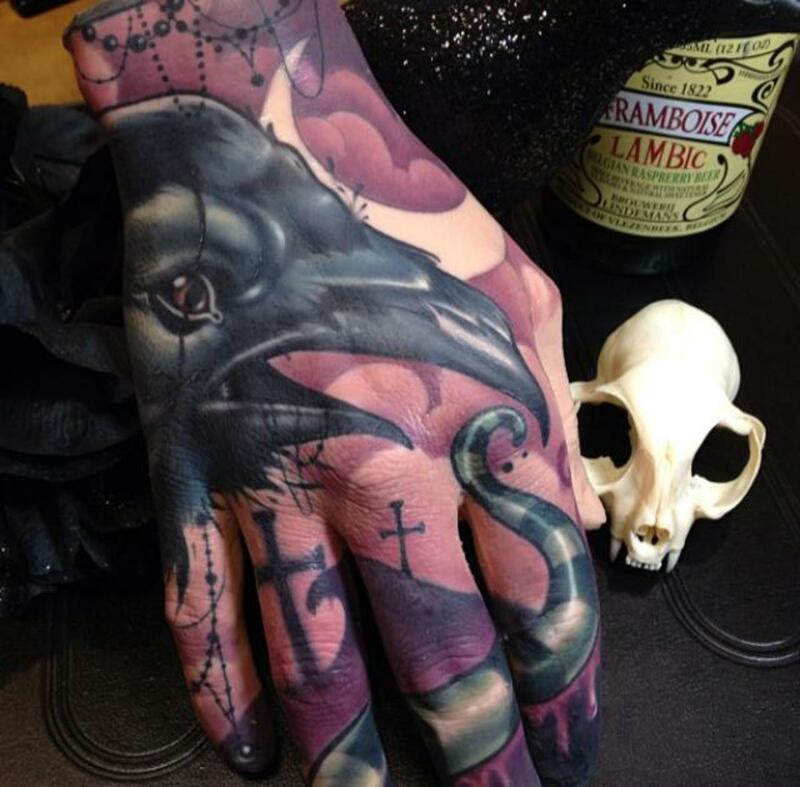 Practical and tested methods of tattoo aftercare. Why do you need to do it, and How effective aftercare is done. 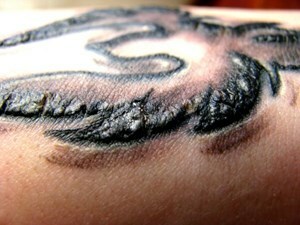 Have you ever damaged your tattoo by having scabs fall off too early? My tattoo is one big scabbed over butterfly. I did everything i was supposed to and it still scabbed. Am i supposed to moisturize or let it stay dry? Not a pitbull as stated in first picture by the way. Thank you so much, I kept looking for sites that showed me visually what a scabbing tattoo should look like and whether or not I should panic. can i wash my tattoo if scabbing? I got my tattoo over a week ago and it's got some thick scabbing. The guy went over it with three colors and did the touch ups the same night. Now it's falling off but it's raising on the sides of it. One part has no color under the scab. Do you have any ideas on what I can do? Also I keep it covered most of the time and when I go to bed bc it catches on everything. Please help me figure out what I can do to keep my tattoo from getting messed up. Oh and it's stars. Thanks for this hub - it's difficult not to scratch them when they are at their very itchy but you give very good advice. Your articles are all presented so well. The information is clear cut. I am fortunate that I had no issues when I got my tattoo years ago. The images complement the article. Very informative hub. When I got my tats I had no idea what to do. Wish I knew all of this!